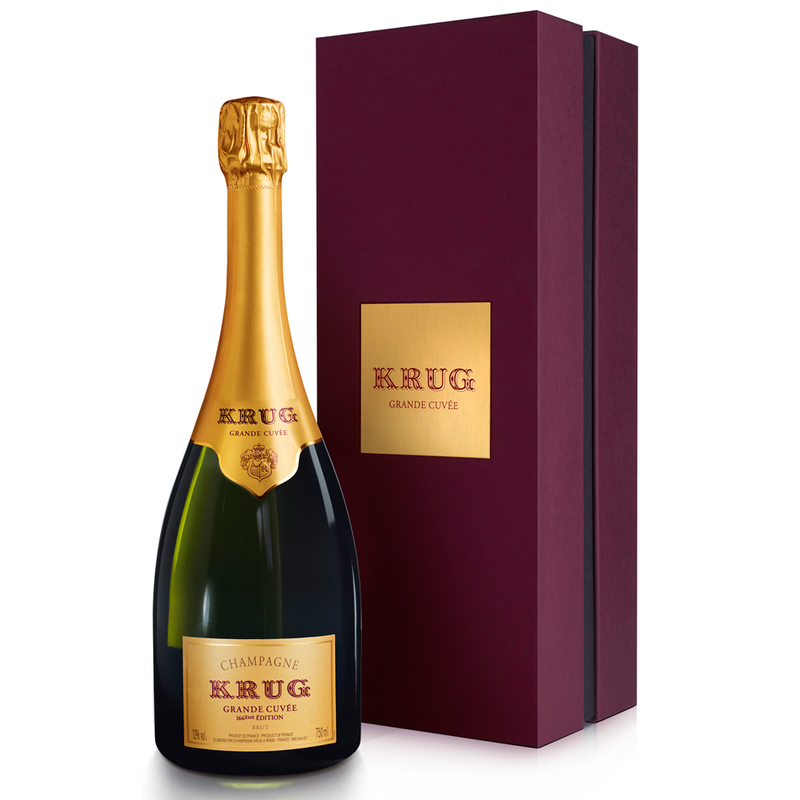 This is the 166th creation of Krug Grande Cuv�e and the fourth release to display the Edition on the label. The majority 58% is from its base year of 2010 and the remaining 42% is from 10 vintages of reserve wines the oldest being 1998 and the youngest 2009 some 140 wines make up the blend. The 2010 year looked great until August, the cool end to the growing season slowed ripening and most grapes in Champagne were picked early as weather threatened and hence 2010 will be a year of few vintage releases. Krug allowed enough of its plots to reach good maturity while maintaining healthy grapes. The stand out grapes from the vintage were the year's Meunier which had great fruit and energy. Some high quality reserve wines from 2000 helped with structure while the plots in Oger lent a generous ripe fruit roundness to this edition. 45PN 39CH and 16PM - The high percentage of reserve wines in the release has ensured it is of the quality we expect from Krug. Krug ID: 117005 | Each bottle of Krug Grande Cuv�e NV has a Krug ID on the back label which enables you to discover the story of that very bottle. You can do so using the smartphone App or on the Krug website. Read more about Krug Grande Cuv�e Editions in the review of our blind tasting with Jancis Robinson MW here. Read the write-up of our Krug Grande Cuv�e Editions Vertical Tasting here. Tasting Note: There is a forward aromatic of orange blossom along with ripe and lemon fruits and hints of spice and ginger. The palate is an abundance of flavour with hazelnut, almonds, dried lemon, almonds and brioche are present with hints of honey. Strong and fresh mouthfeel with a long finish. “100% grand cru vineyards. 45% Pinot Noir, 39% Chardonnay, 16% Pinot Meunier. Base vintage 2010 and 42% reserve wine. Seven years' ageing on lees. Disgorged winter 2017. Dosage 6 g/l. Tasted blind. Lemon yellow. Putty note. Deep straw. Rather yeasty nose with quite a bit of age in evidence. A little loosely textured with a very savoury note. Finishes very dry. Tense.